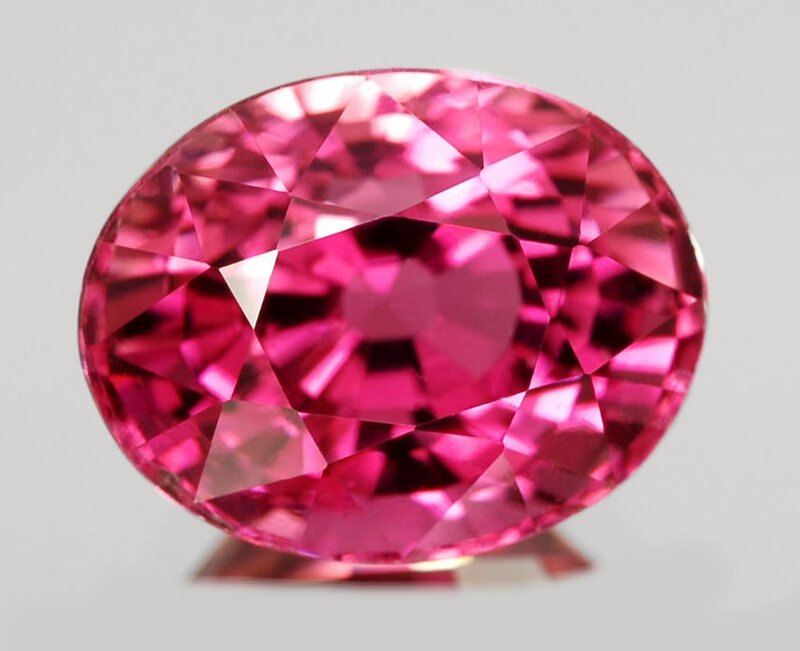 Pink has become one of the most popular colors in gemstones, and no gemstone offers as many choices in pink as tourmaline. You can find every possible shade of pink in tourmaline, including unusual bi-color and tri-color pieces. 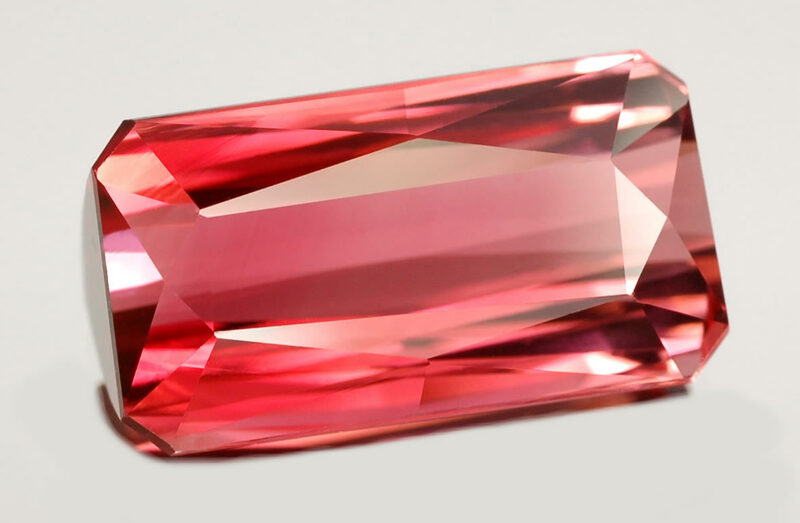 If you're searching for a hot pink gem, you'll most likely find it in tourmaline. Indeed, you'll also find soft pinks in every imaginable shade. 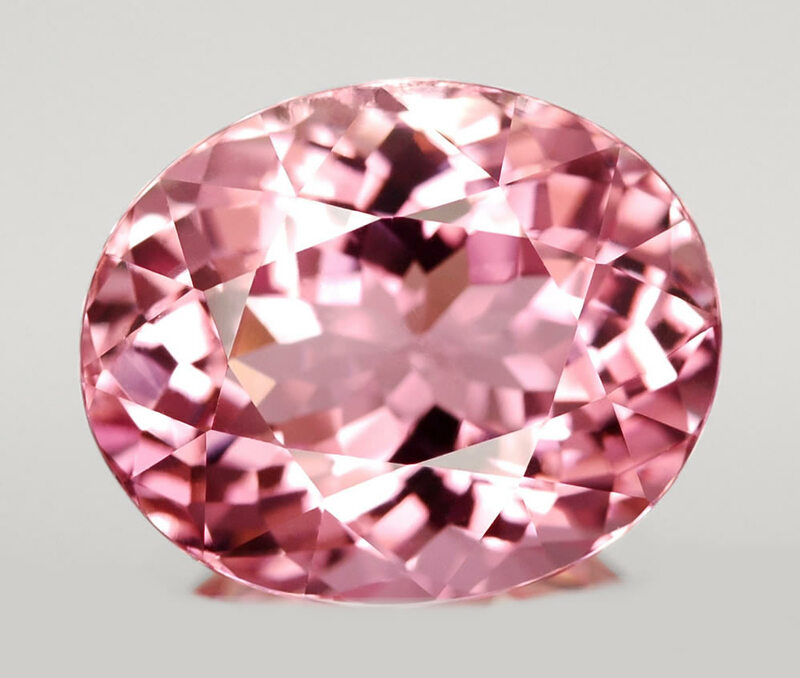 Some fine pink gems, such as kunzite and morganite, are typically found in delicate shades of pink. In tourmaline you can find highly saturated pinks that range from the pink-red rubellite to rose or carnation pink. Tourmaline is also one of the few pink gems that can be found in large sizes. There are some outstanding pinks in sapphire, for example, but you would rarely find them in stones weighing more than one or two carats, and they tend to be rather expensive. Pink tourmaline can be found in gems weighing over 5 carats at affordable prices. Tourmaline is found in many places in the world. Particularly, it is one of the few gemstones for which the USA is famous. The first American discoveries were made in 1822 in the state of Maine. California became a large producer of tourmaline in the early 1900s. The Maine deposits tend to produce crystals that are raspberry pink-red as well as minty greens. The California deposits are known for bright pinks, as well as interesting bi-colors. During the early 1900s, Maine and California were the world's largest producers of gem-quality tourmaline. The Empress Dowager Tz'u Hsi, the last Empress of China, loved pink tourmaline and bought large quantities of it from the Himalaya Mine, in San Diego County, California, for use as gemstones and carvings. Today most of our tourmaline supply comes from Africa, particularly Mozambique, Namibia, Nigeria and Tanzania. Tourmaline is a silicate compounded with aluminum, iron, magnesium, sodium, lithium or potassium. It is actually a family of related species with slightly different chemical compositions. Tourmaline has a good hardness level of 7 to 7.5 on the Mohs scale. It is also extremely durable, due to its indistinct cleavage. The best tourmaline displays excellent transparency and a vitreous luster. Additionally, because of its tremendous color variation and pleochroism, almost every piece of tourmaline is quite unique.